Supermarket chain Asda is rationing the amount of some fizzy drinks that its online customers can buy as the national CO2 shortage continues. The Leeds-based grocer has restricted shoppers to six bottles or multipacks of soft drinks online. Those affected are its own-label soft drinks, plus Pepsi, Pepsi Max, Coca-Cola, Diet Coke, Coke Zero, 7Up, Irn Bru and Fanta. 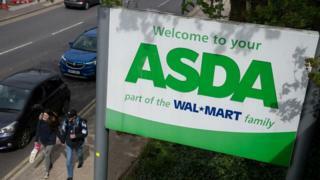 Asda said the limit did not apply to purchases made at its stores. The carbon dioxide scarcity has already forced beer, fizzy drink, crumpet, and meat firms to curb production. However, several UK and mainland European producers of carbon dioxide - a by-product from ammonia production that is used in the fertiliser industry - have been closed for maintenance or scaled down operations. In the UK, only two of five plants that supply CO2 are operating at the moment, in Ince and Manchester. The trade journal Gasworld, which first revealed that CO2 was running short, said that the plant at Billingham, County Durham, was due to restart on Monday. Meanwhile the World Cup football, hot weather, and barbecue season has created an added demand for beer, just when the CO2 plants have gone offline.